Warren H. Munson 91 of Utica passed away April 2 at 10:55 PM at Manor Court in Peru with his sons at his side. A funeral service will be April 6 at 11 AM in the Utica Baptist Church. Pastor Lloyd Johnson will officiate. Burial will follow at Oak Hill Cemetery in Utica. Full military rites will be conducted by the Utica Veterans Memorial Group. Visitation will be April 5 from 4:30 PM to 7 PM in the Burgess Funeral Home in Utica. Additional visitation will be in the church on Saturday from 10 AM until the time of services. The Burgess Funeral Home in Utica is handling the arrangements. He was born on June 8, 1927 in LaSalle to Walter and Vernie (Hess) Munson. He joined the National Guard Reserve through the Army in 1948. He was in the Korean War from 1952 to 1953. He was in the 5th RCT Combat Team. He married Janet Sabo on February 24, 1951 in Utica at the Utica Baptist Church. For 45 years he was employed by Union Carbide / Bake Lite in Ottawa. He was a technical service engineer, in which he also traveled through out the country to their other plants. He was a member of the Utica Baptist Church in Utica where he was a Trustee and Deacon. 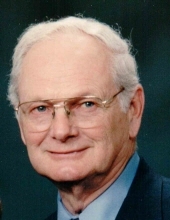 He publicly served the City of Utica as a Village Trustee, a member of the planning commission, served on the School Board, and was instrumental in the planning of the new school in 1967. He was an active member of the Bake Lite retirees’ group. He was an avid wood worker and craftsman working from his home shop. He was an avid golfer. He used social media to stay in contact with the members of the 5th RCT Combat Team from Korea. 2 Sons: Warren J. (Wendy) Munson of Utica, and Steve (Patty) Munson of Morton IL. 5 grandchildren, 4 great grandchildren and 1 due later this year. 2 Sisters: Shirley Duttlinger of LaSalle and Ruth Ann Strong of Elburn of IL. He is preceded in death by: his wife (2013), 2 brothers and 2 sisters. To send flowers or a remembrance gift to the family of Warren H. Munson, please visit our Tribute Store. "Email Address" would like to share the life celebration of Warren H. Munson. Click on the "link" to go to share a favorite memory or leave a condolence message for the family.